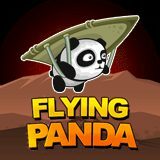 In this game you should help a panda to reach its motherland using a hang-glider. Earn money to buy new equipment and to fly longer. Good luck!